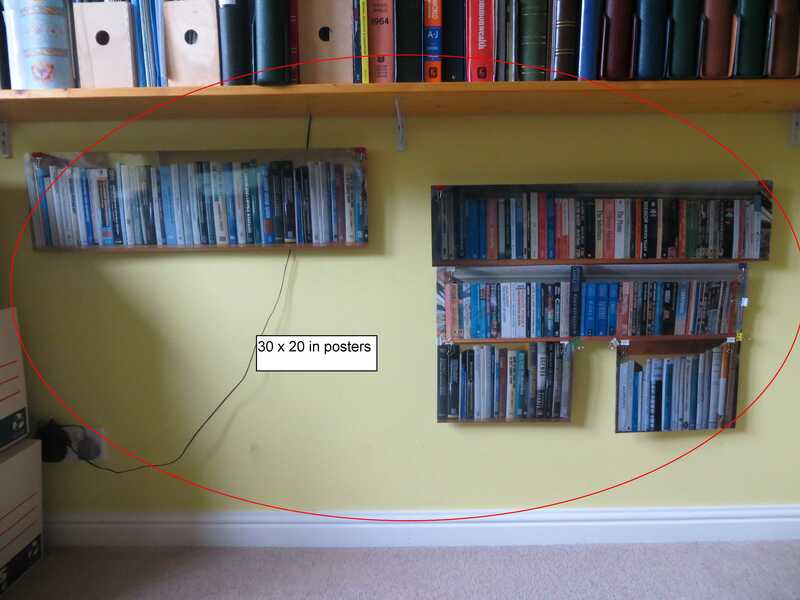 In the last post but one, I described how it was pleasing to have full size poster replicas (40×30 inches) of the shelves of books I have scanned, in easy to see positions on the wall in front of my desk. 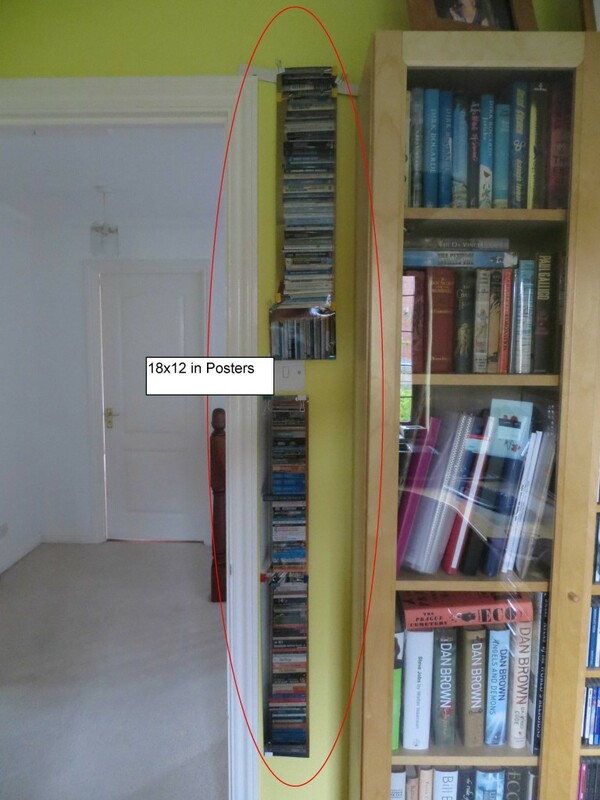 Since then I have begun to wonder just how small these poster replicas could be to provide the same experience. 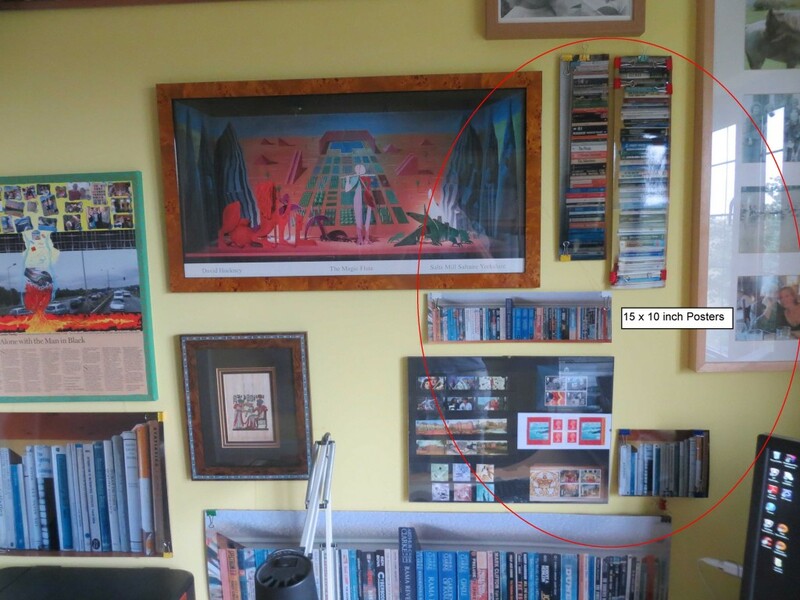 Therefore, as a final phase in this journey, I’ve had the poster set reprinted in three smaller sizes (30x 20 in, 18 x 12 in, 15×10 in) and positioned them in the remaining wall space in my study as shown in the pictures below. Over the next couple of weeks I’ll mull over how the different sizes compare and try to come up with a view as to whether a miniature representation can provide a similar experience to that provided by a full size representation.